Walking just 30 minutes a day can help reduce the risk of coronary heart disease, improve blood pressure and sugar levels, reduce the risk of certain cancers and improve your health in many more ways. 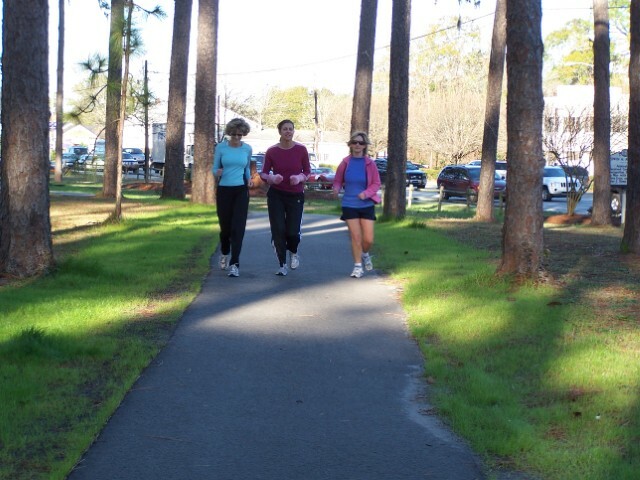 New Hanover County’s parks offer some of the best places to take a walk so you not only can get active, you can enjoy the benefits of being outdoors, too! An outdoor adventure using informational brochures to learn about nature while walking around the park. Story book pages located along walking trails that families can read and interact with while getting their exercise.